Join HookFire for your next corporate travel experience! 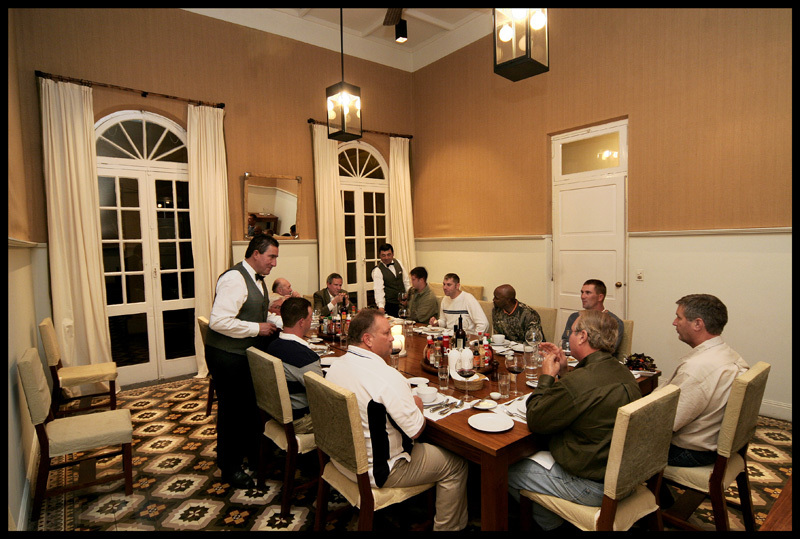 Whether you're seeking a five-star hunting or fishing experience for your top producers or best clients, our lodges provide the ideal setting for your group to unwind and build lasting relationships that will benefit your long-term business goals. Escaping the formalities of titles, expectations, and everyday stresses allows team members to relax, unwind and get to know each other. Our comfortable, luxurious destinations make it much easier to connect meaningfully than attempting it in the confines of a boardroom or conference center. Only the great outdoors can allow this type of camaraderie among co-workers! A corporate hunting or fishing package is also a great way to show appreciation to your sales team, top producers, or even your largest and most loyal clients. Regardless of which destination you choose with HookFire, we guarantee it will be an adventure and experience remembered by all for a lifetime! The HookFire team is well-versed in creating custom-tailored, all-inclusive discounted trip packages for corporate groups. Our experience and knowledge has given us the privilege of working with many top companies and organizations over the years. Our lodges are convenient to reach by flights from most major U.S. cities and our lodges allow for larger corporate outings accommodating an average of 10-18 guests. Please contact us for more details on planning your next corporate trip. Let HookFire help your business reach its goals this year!